This is a discussion-based course dealing with the effects of technology on individuals, society and nature. It focuses on what could be done to create a more responsible technology process that addresses the needs of all stakeholders and at the same time minimizes the risks and harms of its implementation. The course promotes a deep understanding of social and ecological responsibility by using a variety of alternative teaching methods. Through an untraditional classroom environment and course structure, participants will challenge the condundrum of sustainability, as a discipline, being either ignored or solely focused on technological solutions. The course promotes student-directed learning by communal discussion and decision making in order to establish a co-responsibility of the direction and learning outcomes. Students will be able to deal with complex social, political and economic interdependencies by considering different values and interests within a global perspective and in one’s own class(room). Through several communication techniques, the class exercises encourage students to identify and map key aspects of the problems rather than just trying to solve them. This method responds to specific user needs in order to cooperatively discuss the role of technologies which are socially useful, locally adapted, durable and reparable. This course acknowledges current Green Economy trends, and the UN Rio+20 debate, which show how there is a strong demand for technological innovations as a remedy for ecological destruction and as a pathway to poverty eradication. Building blocks are study-elements developed by lecturers and students, which provide instructions for facilitating a 60 to 90 minutes course session. Building blocks will showcase multiple perspectives on complex topics, e.g., ethical codes, recycling, pre-implementation diagnostics, social businesses and cooperatives. Every building block uses a set of widespread teaching formats such as case studies, story-telling and station learning, as well as adaptations and combinations of known methods, such as learning cascades, advocatus diaboli, the triangular method, evaluation sculpture, educational games, challenges and more. The idea behind this great variety of teaching methods is to create an environment that is participant-, group- and discourse-focused. It encourages participants to exchange ideas and opinions, learn from each other and be an active part in the co-creation of the course itself. Each participant will be responsible for their own learning experience, and that of the others. The general prerequisites of the TU Berlin Summer University are: at least one year of university experience + English level B2 or equivalent. This course also requires an interest in the reciprocal relations of technology, individuals, nature, society and democracy. Henning Meyer holds the chair of machinery system design at Technische Universität Berlin. Among other jobs, he worked in the german industry as head of a development department of control systems of construction machines. He graduated from Technische Universität Braunschweig and holds a doctorate of the same university. André Baier received a master 2 degree in philosophy of norms from Universíté Rennes 1, France. He completed his studies at Technische Universität Berlin receiving the magister artium degree in philosophy. 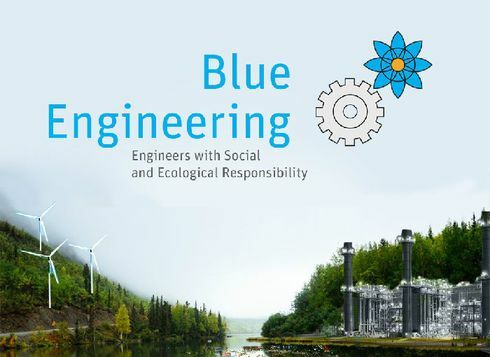 He actively participates in the development and implementation of Blue Engineering – Engineers with Social and Ecological Responsibility - since its beginning in 2009. As of 2012 he is lecturer for this course at Technische Universität Berlin. Maximilian Hachtmann works for Blue Engineering, helping to facilitating the learning of over 90 students each semester, in addition to hosting the Summer University Course in 2017. His interests lie very closely with the interaction between society, the individual, nature and technology.